That's great. I wish you every success. On VH-11 there is also a mechanical way to transfer the hi-hat to be more open or closed by just routating the hi-hat pedal screw on the hi-hat top a quarter turn against open or closed. This will make the hi-hat to react in a smoother way. There is also a nice way to adjust the samples if you think the especially hi-hat sound cuts too sharp by just adjusting the "hold" parameter on 2box DrumIT Five module. 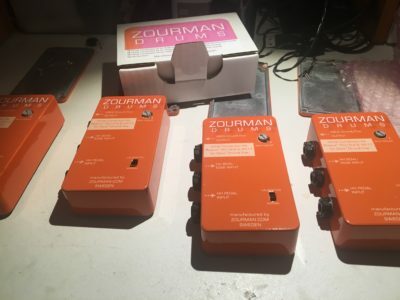 I am celebrating today...I am getting 50th years old....so I have a great discount on the Zourman Hihat Conversion kit. Have a look at Zourman.com! Imagine the discount when the box turns 50! Happy birthday, Anders. Do we pay our own birthday present ? Or is it Vat ? True. I am afraid it is VAT. I have now officially added support for FD-7 and the new FD-9. More hi hats will soon follow. Angr77 / Zourman Drums Hihat conversion kit for Roland FD-7, 8 and 9 plus VH-11. Zourman Drums and our Roland hi-hat conversion kit for 2box have been nominated in digitalDrummer Readers Choice 2016. A fantastic recognition! So 2box users and supporters of Zourman Drums, please vote for us and our solutions online at https://digitaldrummer.typeform.com/to/Iz1gLL - and we will hopefully increase our chances to win this prestige award! 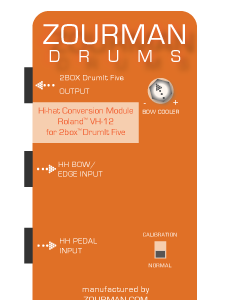 Zourman Drums hihat conversion kit adds support for Roland VH-12! 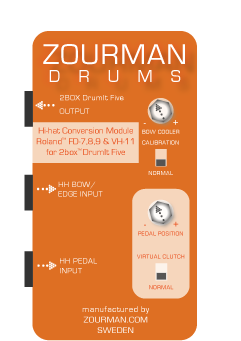 A new model of the Zourman Drums Hi-hat Conversion module for 2box has just been launched – now including native support for the Roland VH-12 hi-hat. Wishing you all a merry Christmas and a happy New Year and some free time behind the drums! Happy New Year to everybody at the 2box forum! I wonder how next year will look like with all upcoming launches! :-) Will there be any surprises - probably! 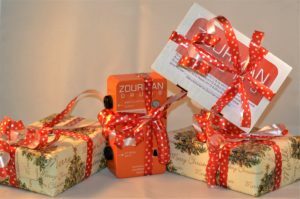 Hard to find anything to vote for - please place your vote for Zourman Drums and our Roland Conversion Modules for 2box! There are also some other great solutions nominated like the VersaTrigger Wireless trigger - a real game changer! Zourman Drums introduces models with Virtual Clutch functionality. The new added virtual clutch models includes support for Roland Fd-X, VH-11 and VH-12 and 2box. Virtual Clutch is a system where the hi-hat pedal position variable can be set in advance between open/closed. A perfect solution for drummers with double kicks who sometimes need the ability to set the hi-hat in to near closed position. 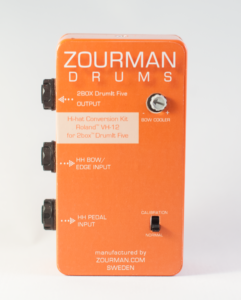 A switch on the front panel will set the Zourman hi-hat module in virtual clutch mode. A potentiometer adjust the open/closed position. One feature is that the pedal will still work as usual when in virtual clutch mode...but will go from the fixed position to closed when pressing down the hi-hat pedal. If i can give you an advice , it could be cool to add a jack so one can plug a simple switch pedal to activate/deactivate the V-clutch . With a led on the box to be able to see the status .